The journalist and publicist Boris Stomakhin is currently being persecuted in Russia. He is facing a second prison term because of his professional activities exclusively. Boris Stomakhin is a staunch supporter of the democratic and liberal values, and a devout Westernizer . He has consistently criticized Russia for its aggressive policy in Chechnya and Georgia, supporting dictatorial regimes in the Middle East and human rights violations. As long as Russian authorities don’t want the citizens to know the truth, the journalist Stomakhin has been pursued by them for many years . For the first time he was arrested in March 2006 . During the detention Stomakhin had his spine seriously injured. Due to the caused injury he became disabled afterwards. Despite this fact he was sentenced by the regime to 5- year prison term. 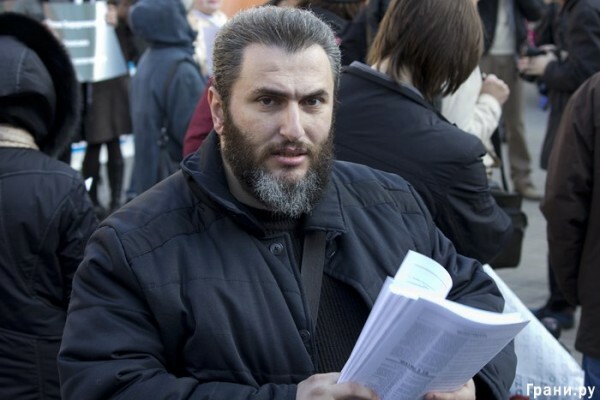 However Stomakhin did not give up , and after leaving prison in 2011, he did not change his beliefs as well as continued his journalistic activities. Stomakhin was arrested again on November 20, 2012 . He is currently in the pre-trial detention center in Moscow. He has been charged with writing a number of the ‘extremist’ articles, according to the Russian authorities. But the mentioned articles are actually honest and truthful, in which the author condemns Russian authorities for their crimes. These articles include in the old articles written before the first prison term as well as new ones . We would like to draw your attention to the fact that Stomakhin has been charged with nothing but the articles, so his case is a political matter in its purest form. Since Boris Stomakhin was detained , he has not got any necessary medical care related to his health problems. The first meeting of the court on Boris Stomakhin’s case will be held on September 12, 2013 . We urge the European Union to intervene and put pressure on Russia to prevent a guilty verdict against the journalist. Freedom of speech is one of the fundamental European values, and no one can be jailed just for voicing his/her opinion. Boris Stomakhin did not commit any crime and should not be punished for his beliefs. Jailing individuals for their articles, Russia is coming back to the practice of the Soviet era, when a person could be sentenced just for a ‘wrong’ word to 10 years in a camp. In addition, we would like to draw your attention to the fact that Boris is disabled. His health condition is very bad, and he may not survive a long prison term. Recently we have already had a precedent when Sergei Magnitsky died in the pre-trial detention center due to the lack of medical care. Now history may repeat itself. Will the West turn a blind eye this time also? We ask you to demand the Russian government and President Putin to follow the principles of the Declaration of Human Rights, in particular the right to freedom of speech and religion, and in particular, to release the journalist Boris Stomakhin immediately and stop a criminal prosecution against him.